The Plaza & Plaza Regency Hotel Malta is a top end three star hotel with a relaxed and friendly atmosphere, situated in a prime position on the Sliema promenade, close to St Julian’s. 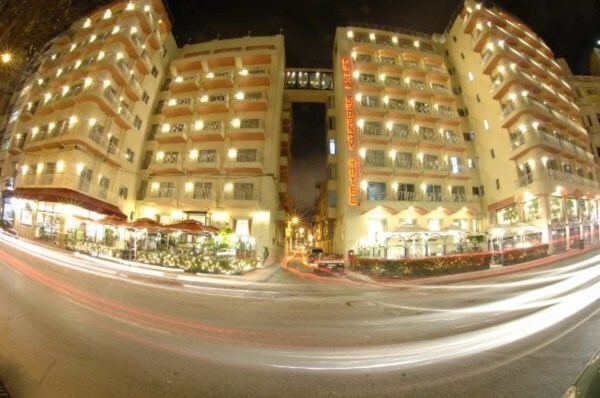 The Hotel is divided into three neighbouring and connected properties which share facilities – the Plaza, the Plaza Regency and the Plaza Suites. Rooms will be allocated in either the Plaza or the Plaza Regency, whilst studio apartments are allocated in Plaza Suites. Sea view options are also available, so you can really enjoy the location’s seaside aesthetics from your very own room. The Plaza & Plaza Regency Hotel Malta is set in a top location; you will find you are about midway from the centres of St Julian’s and Sliema - both are a pleasurable walk away. The Strand is Sliema’s hub, where the chic cafes, shops and boutiques are found – Maltese society congregates here and it is a perfect place to see and be seen. St Julian’s is in the other direction where the locale includes a 20 lane ten-pin bowling alley, a multi-screen cinema complex, shopping centres, casinos and some of Malta’s finest restaurants. The Paceville area in St Julian’s will thrill anyone who loves nightlife; with its candlelit, neon or al fresco bars and clubs. Offer is valid for any bookings made between the 10th October 15 and the 6th November 15 and for travel between the 10th octover 15 and the 31st April 16 .Promo code must be used at the time of booking and cannot be added to an existing booking. The promo code gives £20 off per booking. 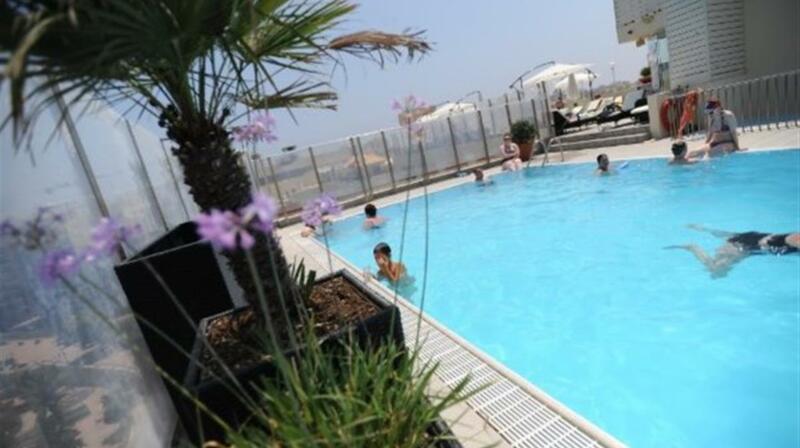 At the Plaza & the Plaza Regency Hotel, Sliema, there’s both an indoor and outdoor pool not to mention two bars, a pizzeria, a buffet restaurant and evening entertainment on the sun-terraced roof. Most rooms have a balcony (inland rooms do not include a balcony). Single rooms are inland or internal. Superior sea view rooms have 2 or 3 beds, tea & coffee making facilities and a minibar. A bridge on the 6th floor links the Plaza and Regency structures. Wi-Fi zones available free of charge. Disabled Facilities: This property is not recommended to clients with mobility difficulties due to the number of internal & exterior steps. The Plaza & Plaza Regency Hotel Malta is set in a top location; you will find you are about midway from the centres of St Julian’s and Sliema - both are a pleasurable walk away. The Strand is Sliema’s hub, where the chic cafes, shops and boutiques are found – Maltese society congregates here and it is a perfect place to see and be seen. St Julian’s is in the other direction where the locale includes a 20 lane ten-pin bowling alley, a multi-screen cinema complex, shopping centres, casinos and some of Malta’s finest restaurants. The Paceville area in St Julian’s will thrill anyone who loves nightlife; with its candlelit, neon or al fresco bars and slinky clubs. The bus stop near the hotel, makes it reasonably easy to get to most parts of the Island. PENTHOUSE restaurant: the buffet self service restaurant is located on the sixth floor enjoying a view of the bay. The buffet menu offers a variety of dishes that provides for everybody's taste. An á la carte menu is also available. CARA'S cafeteria: located on the ground floor, has become one of the locals’ favourite venues, in Sliema. PIZZERIA & Grill: a very popular venue for locals and tourist alike serving different varieties of fresh pasta. A large array of mouth watering pizzas also ensures that one will surely find a favourite dish at a reasonable price. Patrons can either eat in the restaurant, which is fully air conditioned, or choose to sit outside, overlooking the promenade. TERRACE bar: overlooking the indoor pool. Indoor entertainment during Winter period. Some facilities may incur a local charge. There is a charge for room safes & fridges. Children should be accompanied by an adult, at the pool, at all times. There is no lifeguard. Outdoor facilities may, at times, be closed in winter. "Lovely two week holiday no complaints. It was our second visit and everything just as excellent. Had superior sea view cleaned everyday perfect. Book a sea view really worth it. The rep Ray was really good and gave us complimentary tickets for the open top tour bus we had a fantastic day hopping on and off thank you chevron." "We had a very nice sea front room. Cleaned regularly. Breakfast was a bit repetitive. Evening meal was limited but fine for us. Wifi free in lobby. Bus stop right outside. Hotel in great position to tour Malta. Buy a 21Euro weekly bus ticket. Also covers Gozo. Ferry to Gozo is under 5Euro return." "Chevron delivered what it said on the tin! I would certainly not hesitate to use Chevron again. It was exactly what one would expect of a 3 star hotel. The room was large well equipped and with an excellent view over the bay." "Travelled with Chevron many times good service at all times. Malta & Gozo are great places to explore. Staff nice & friendly. Always travelled with Chevron & will continue using them at all times. Plaza Hotel is good value with excellent service - Always have a great holiday that's why I go back time & time again. " "Staying at the Plaza Hotel was excellent value for money. Whole holiday using Air Malta went like clockwork. Will be booking again for next year. Thanks "
"Booking through Chevron - excellent from start to finish. Flights from Leeds on Ryan Air very good and no nonsense. Accomodation - we'd paid for a superior sea view room but on arrival we were given first floor tree view room which was below standard. The manager inspected and agreed with us - problem quickly rectified - the manager immediately offered us the Penthouse for the full month - excellent views. Plaza Hotel staff very friendly and helpful and a big warm thanks to all. Overall - excellent value for money! Would we recommend this holiday to friends? - Certainly. Would we return? - Definitely. Thank you for a lovely holiday. " "Very good room 431 the best I have ever had at the hotel. Been to this hotel regular in the past and will visit again in the future. I did not use the Chevron representatives as I have been going to Malta for the last 10 years. But they visited the hotel regular and letters were put under my door to keep me informed of what was happening." "Very good location good breakfast friendly staff large comfortable rooms. Dinner lets it down a bit. Use the buses to travel round the island - a 7 day ticket costs 12 euros." "Paid for superior twin sea view but was slightly disappointed as it was more of a side seaview. The trip to Gozo was excellent not to be missed." 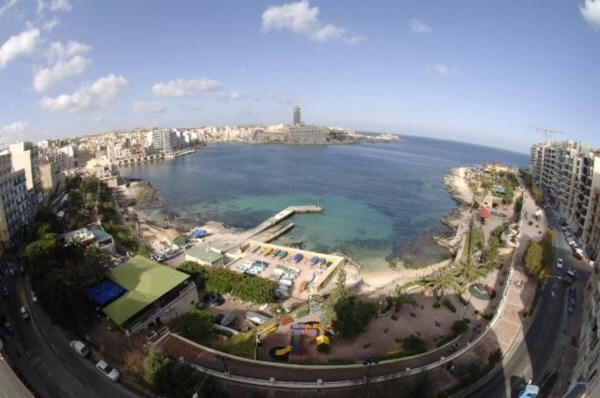 "Hotel fine friendly staff the evening meal was a disapointment frozen veg - position of hotel is good for both Sliema and St Julians." "Malta and Gozo were wonderful. I was there years ago. It looked wonderful then and stil is now.Very friendly people and very proud of there country." "Meals have vastly improved..only downside is the entertainmen the venue is FAR too small for the number of guests more so as this hotel encourages non-residents to partake in the entertainment. Otherwise hotel good location excellent." "Accommodation: We had a lovely view over the harbour. Food could be a little more varied. Everything ran smoothly we had no worries at all. Each night after dinner we took a long walk along the front we felt safe at all times. Malta has altered a great deal from 30 years ago. The old buses are still worth seeing...we heard they are going from Malta in the next year. It is easy to travel around on the local buses and transport. "